Big and bold prints are what Dolce & Gabbana do best and the house's Fall '18 runway was awash with every type of pattern. 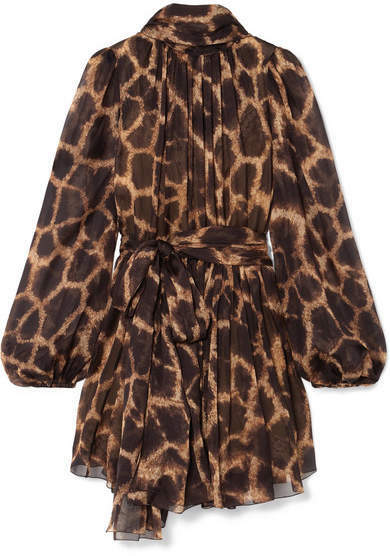 Spotted at the show, this wispy animal-print silk-chiffon mini dress is finished with neck and waist ties that can be knotted into bows and underpinned with a lace-trimmed slip. Wear yours to your next evening event with point-toe pumps.